Lovely 15" Pink TV with built in DVD player. Condition is Used, but in full working order, with remote control and instructions.Ideal for girls bedroom.Collection from Great Yarmouth NR31, cash on collection please. Cello 24IN LED 1366X768 169 5MS C24SFS 30001 HDMI C24SFS Monitors Monitors. Item model number: C24SFS. 24" HD Ready widescreen LED TV. Superfast Smart TV with built-in Wi-Fi allowing you to switch quickly between terrestrial and online streaming content. Built-in Freeview HD and Digital Freeview Channels. 32” HD Ready Freeview T2 HD TV with Built-in DVD Player. 32” HD Ready widescreen LED TV. Built-in DVD Player. Getting the Right Products for You Each and every order you place is checked by one of our experienced sales team. Slim, lightweight and full of features. Featuring an integrated DVD player and Freeview T2 capabilities. InputsAerial, HDMI, RCA, AUDIO, 15-PIN VGA, RF, SAT, IEC inputs. Digital HD FreeviewYes. DVD PlayerYes. Built-in Freeview tuner. 32" LED TV. USB record function. 2 x 8W Speaker output. PC Audio Input. Mini YPbPr Input. USB 2.0 Connector. Coaxial Output. A stylish 43” Full HD LED TV with T2 High Definition Freeview that provides a stunning viewing experience. Digital FreeviewDVB-T2 HD. DVD PlayerYes. Max Resolution1920 x 1080. Item model number: C32SFS. Cello Play. This 32” Smart HD Ready TV combines terrestrial channels with online streaming content via a superfast user interface unlike any other Smart TV on the market. In less than 10 seconds you can intuitively move from offline to online viewing. Integrated tuner for Freeview HD channels. During that process you will be issued with an RMA number. OEM C40227TF2. 40" LED Full HD TV DVD Combi. Colour Black. Product Type TV and Video. Product Code: LND26522. Weight: 7 kg. 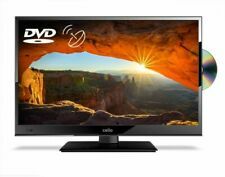 40" LED Full HD TV DVD Combi. Images shown are for demonstration purposes. This 32” Smart HD Ready TV with integrated DVD player combines terrestrial channels with online streaming content via a superfast user interface unlike any other Smart TV on the market. In less than 10 seconds you can intuitively move from offline to online viewing. 32" led hd tv cello. Quick sale £70 cash in hand on collection. Manufacturer Code: C20230FT2. Refresh Rate 60 Hz. Tuner Freeview HD. Built-in DVD Player DVD Player Built-in. Built-in Digital Freeview T2 HD Channels. TV Type LED. Built-in DVD Player. Smart TV Without Smart. Freeview is a free digital TV service. It provides 50 digital TV channels and 24 radio stations with no need for a subscription. All Cello TVs include Freeview as standard. Built-in Freeview tuner. Mpeg 4 (H.264) Technology (can receive Freeview in UK and Saorview in the Rep of Ireland). Built-in Freeview tuner. This super slim Cello Electronics TV combines style and function. Enjoy the sharp picture quality on the 19" screen and playback music,films and photos using the USB port. Freeview is a free digital TV service. It provides 50 digital TV channels and 24 radio stations with no need for a subscription. All Cello TVs include Freeview as standard. T2 Hi Definition Freeview Channels. Built-in Freeview tuner. 32" LED TV with DVD. Built-in DVD player. Easy 'Auto Set Up' tunes itself in. Mpeg 4 H.264 Technology (can receive Freeview in UK or Saorview in the Rep of Ireland). Can connected to a computer and used as a monitor. Condition is New. 2 AAA Batteries. Quick Start Guide. Power cord. Manufacturer Code: C40227FT2. Built-in Freeview T2 HD and Digital Freeview Channels. Freeview T2 HD. A stylish 40” Full HD LED TV with T2 High Definition Freeview that provides a stunning viewing experience. 75" 4K Ultra HD widescreen LED TV. Cello Play for catch up TV. Android 7.0 Smart TV with built-in Wi-Fi. Images shown are for demonstration purposes. Wall mountable. 3,840 x 2,160 screen resolution. OEM C40SFS4K. 40" 4K Ultra HD widescreen LED TV. Cello Play for catch up TV. Android 7.0 Smart TV with built-in Wi-Fi. Product Type TV and Video. Product Code: LND26833. Product Specifications. Product Model C40ANSMT. Manufacturer Part Number C40ANSMT. NO ONE CAN BEAT OUR PRICES! Manufacturer Cello Electronics. Scan Format 1080p. Standard Refresh Rate 50 Hz. Digital Tuner DVB-T (MPEG4). HD type: 4K Ultra HD. Display diagonal: 55 ". Tuner type: -. Smart TV: Y. Internet TV: Y. Component video (YPbPr/YCbCr) in: -. Composite video in: 1. Depth (with stand): 270 mm. Tuner Type Freeview HD. Full HD 1920x1080 display resolution. Picture Resolution Full HD. Product Contents: LED TV, remote, 2x AAA batteries, UK mains lead and user guide. Features Smart, EPG. VESA Wall mount compatible (200x200). UHD 3840x2160 display resolution. Tuner Type Freeview HD. Picture Resolution 4K HDR Ultra HD. Product Contents: LED TV, remote, 2x AAA batteries, UK mains lead and user guide. Features Smart, EPG. Screen Size 40". 32" Widescreen LED TV. Contents: LED TV, remote, 2x AAA batteries, UK mains lead and user guide. During that process you will be issued with an RMA number. Images shown are for demonstration purposes. 32" Widescreen LED TV with DVD player. Contents: LED TV, remote, 2x AAA batteries, UK mains lead and user guide. Slot loading DVD±R/RW player. During that process you will be issued with an RMA number. Cello Play for catch up TV. 32" HD Ready widescreen LED TV. Android 7.0 Smart TV with built-in Wi-Fi. T2 HD channels. Colour Black. Product Type TV and Video. Product Specifications. 40" 4K Ultra HD widescreen LED TV. Cello Play for catch up TV. Android 7.0 Smart TV with built-in Wi-Fi. Images shown are for demonstration purposes. Wall mountable. 3,840 x 2,160 screen resolution. motorhomes tv. Condition is Used. Collection in person only.